Benefit Candy-Coated Countdown Advent Calendar. 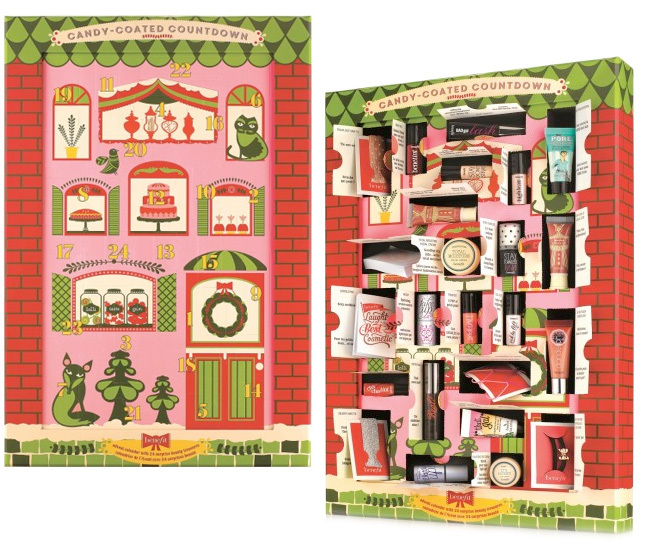 Benefit Cosmetics has the ultimate Advent Calendar for the beauty girl. Filled with beauty treats, counting down to Christmas has never been more fun. They are calling it the Benefit Candy-Coated Countdown. This generously sized sturdy calendar contains 24 little windows that open to reveal 18 deluxe sized Benefit beauty samples plus six adorably girlie treats. Pick this up as an early gift for your favorite beauty girl soon, because this limited edition will not last long. The Benefit Candy-Coated Countdown is available now from Macy's, ULTA and benefitcosmetics.com for $99.00.